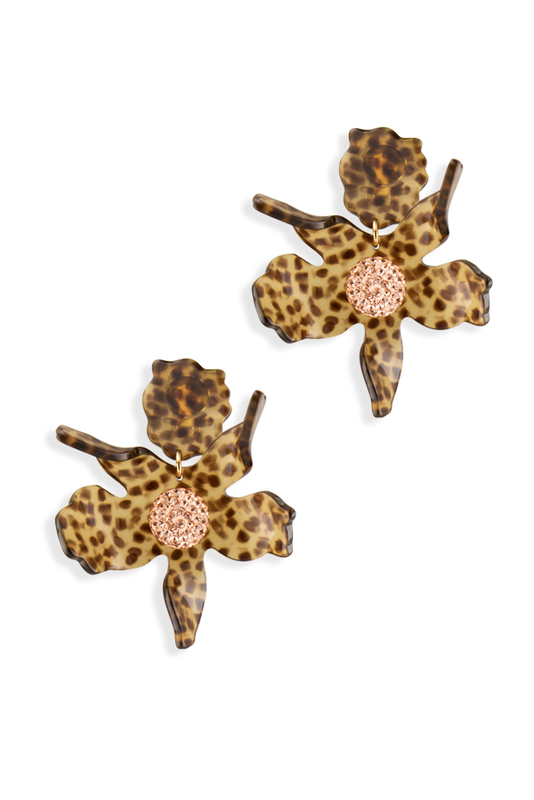 Hand swirled leopard print acetate lily flower drop earrings with 0.75" czech pave center. Dimensions- Length: 3" ; Width: 2.5". 14k gold plated clip-on backs.